A recent research project carried out on behalf of the Debt Advisory Centre shows that approximately 4.7 million residents in Britain are often cut off from their pre-paid electricity. People in the UK are living without basic necessities, often for reasons that are beyond their control. With rising energy costs, residents using prepayment meters do not have the necessary information and access to cheaper price plans that could prevent them from falling into fuel poverty. Research also shows that over 4 million British residents have said that they often cannot afford to top up their gas meters. This has left many without heating at least once every week! Living in the UK without heating and electricity can cause major mental and physical health problems. The stress of not being able to keep your family warm during the winter is a painful reality faced by many in the UK. Fuel poverty in Britain does not have as widespread national recognition as it should. 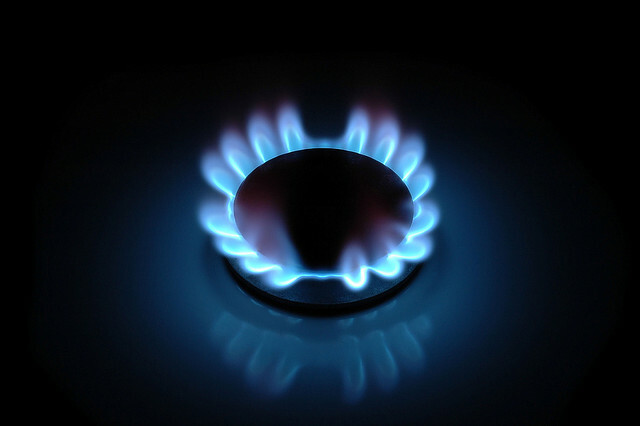 There is currently a fuel bank trial underway in the North East, launched by energy supplier npower . Fuel vouchers will be handed out at food banks to help those at most risk of living in fuel poverty. However, this scheme will only provide a temporary solution to what is an everlasting issue unless more efficient measures are implemented. Poorer homes need to be provided with physical energy improvements to their households in order to help reduce energy bills. There are grants available provided by various energy trusts, and here at Energy Projects Plus our Fuel Debt Advice Service and Health Through Warmth projects helps those in financial hardship tackle fuel debt and gain access to grants. 1 in 10 people have arrears on their water, gas and electricity accounts and many cannot afford to pay these back. The Debt Advisory Centre calls for energy suppliers to create cheaper plans for lower income households. This way homes can move away from using pre-paid electricity, save money and live without fear of being without gas and electricity. Switching to a cheaper tariff lies among our many existing campaigns to help reduce fuel poverty. As the year unfolds, we hope to see more action taken at a national level to help tackle fuel poverty in the UK. Due to the successful completion of the Warmer Wirral Project for 2013 -2014, we are back again for another productive year! This time we are moving on from Tranmere North and for 2015, we will be working with residents from approximately 2,800 properties within Birkenhead West, Birkenhead South, Egerton North and Tranmere West. We are currently working with the Wirral Council to deliver our Warmer Wirral project. This service can create multiple benefits for residents, so we want to get as much community engagement as possible! We have written to all of the residents in the catchment area and put together a team of assessors that will knock on each door and offer face to face expert advice on how to tackle fuel poverty. Our assessors will be giving useful information and tips on energy efficiency improvements that can be made at home, which will help residents save money on their utility bills. We will also use this exercise as an opportunity to make residents aware of the financial support and advice, available to them all year round from our Wirral Fuel Debt Advice, Save Energy Advice Line and the Collective Switch. As part of the project, Energy Projects Plus we will be holding training days for local organisations and community representatives from Age UK Wirral, Merseyside Fire Service and workers in the Wirral Council. This is to ensure that after the projects finished, key organisations and representatives in the area are still available to offer help and advice to residents that are tackling fuel poverty. We work to support our community and aim to encourage energy efficient behaviour. Ultimately, we want a warmer Wirral! We’re Hiring! Join Our Team As a Temporary Assessor. We are looking for enthusiastic individuals to help us deliver our Warmer Wirral Project. Connecting With The Local Community In Toxteth! E.ON has recently supported Energy Projects Plus through a grant from their Energy Action Fund. We have used this money to engage with the community. We would like to welcome our newest team member, Faye Razzak! Faye has joined us as our Communications Officer and she will be co-ordinating our online media content and public relations, saying “I have a passion for sustainable development and energy efficiency and I am excited to assist Energy Projects Plus in tackling fuel poverty and carbon emissions in the Merseyside and Cheshire area”. Faye is a graduate of Politics and has recently worked on communications for an environmental based social enterprise in South Africa. Her knowledge and experience will be a great benefit as we spread the word about the wonderful work we do here at Energy Projects Plus.